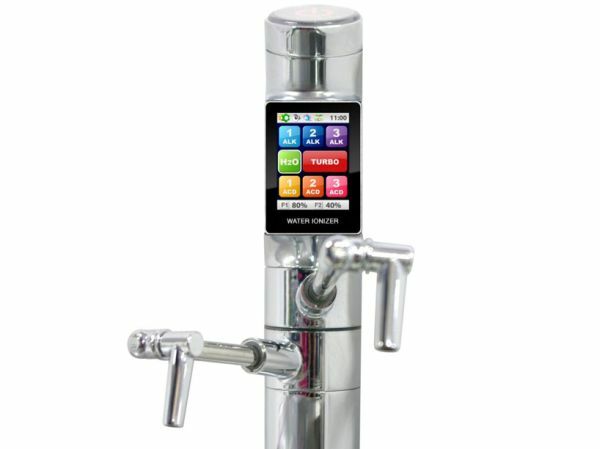 Take a look at the Tyent Touchscreen Water Ionizer and Purifier, and you will surely throw away your old and common purifiers into the trash box. This hi tech purifier will add some technology to your kitchen in addition of providing safe and drinkable water to you. 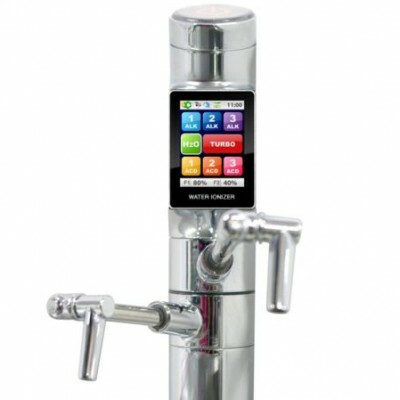 The Under Counter Extreme 9000T Water Ionizer comes with a touchscreen controlled system for purifying the water. It is equipped with a turbo function and two distinct spouts. The Ph level of the water can be set as low as 2.0 which is recommendable for cleaning and sterilization due to its acidic nature and also as high as 12.0 which is good for drinking, cooking and washing because of its alkaline nature. The purifier comes with two filters, one made of carbon and the other from three types of ceramics which keeps a check on the mineral content and ionic balance of the water. The ionizer also features voice controlled system. 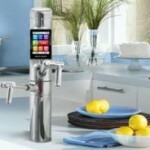 The Under Counter Extreme 9000T Water Ionizer is a cool gadget for your kitchen but comes with a hefty price of $2,795.